Transforming our energy system is one of the biggest global challenges of our times. The efficient and economical use of renewable energies is crucial for conserving our environment and the success of our economy. The basis for this is the development of energy storage technology that enables a transition away from a fossil fuel based energy infrastructure. 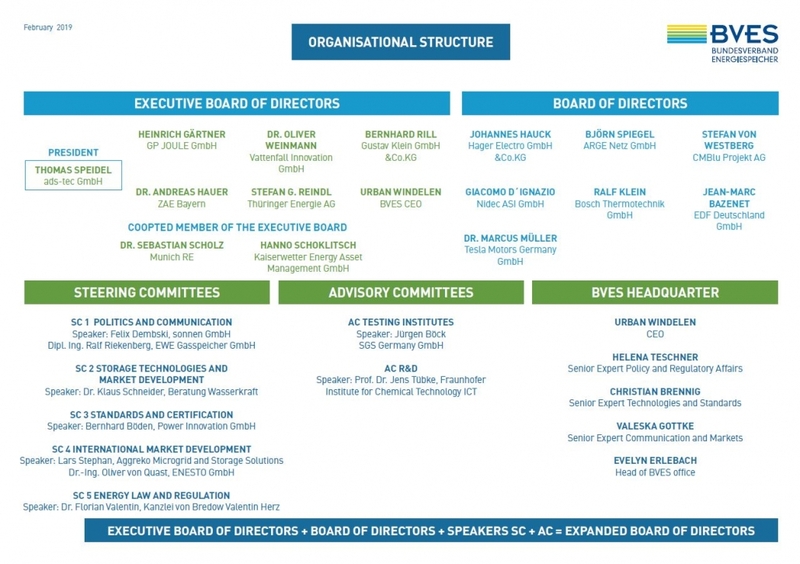 As the German Energy Storage Association, our objective is to unite and promote all industry players under one banner. 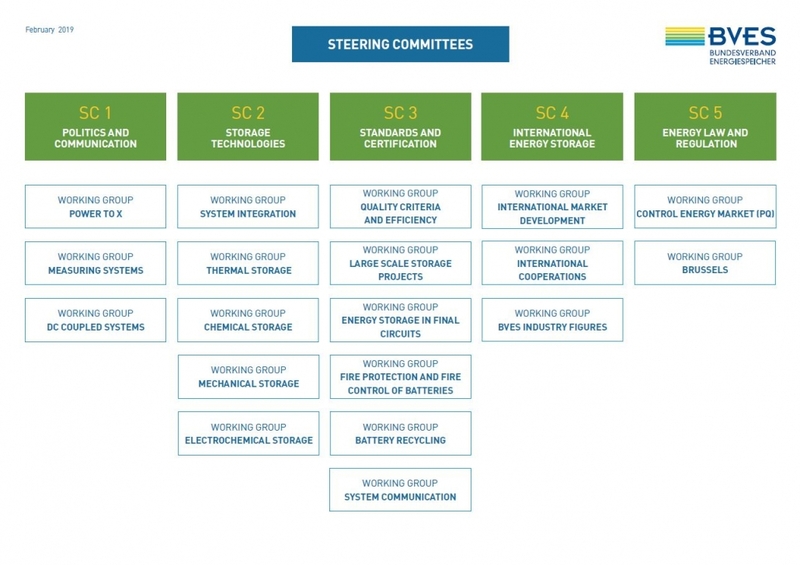 Members of the association include companies from all sectors related to energy storage, such as technology manufacturers, project developers, system integrators, consulting firms, research institutions and other market leaders in the cleantech sector. We represent the interests of our members in political decisions and support them by using targeted public relations strategies. We promote the coordination of joint research and development in the utilization and application of energy storage devices. As a company operating in the energy storage business, you should consider becoming affiliated with our association. A membership will strengthen your position in the market, and you will benefit from our lobbying activities and a range of further advantages in your day-to-day operations. By joining forces, we can achieve considerably more on a political level. We can target a broader audience, which allows consumers to gain a better understanding of various storage technologies. Furthermore, we also provide our members with valuable information for their day-to-day operations. This includes access to industry reports and research findings, information on framework conditions in various countries worldwide and about market competitors. Of course, the association also offers countless networking opportunities. This document defines the security requirements for safe battery storage systems based on Li-Ion technology. It was prepared by BVES in collaboration with other political associations.